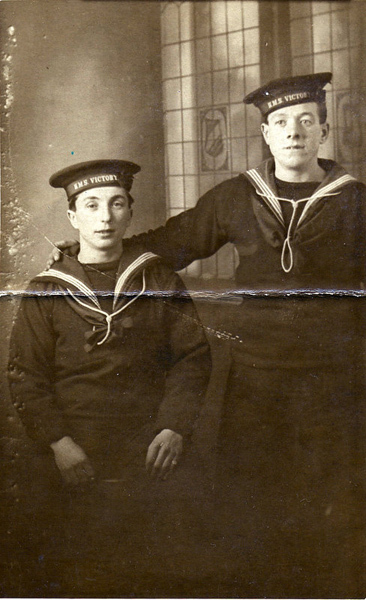 Picture taken in Invergordon while my grandfather, Angus Martin (left) was stationed there in 1914-1918. Cap reads H.M.S. Victory.